We hope you can join us for the opening event of our new season. His page on the Scottish Poetry Library website (from which the above was taken) has even more information and links to a few of his poems. Richie recently published his debut collection, Cairn, with Nine Arches Press. He also has two pamphlets, Spinning Plates (HappenStance, 2012), and Ballast Flint (Cromarty Arts Trust, 2013), the latter of which was written in collaboration with artist Hannah Rye. He’s won an Edwin Morgan Travel Bursary and has been a Hawthornden Fellow, and was shortlisted for the 2013 Melita Hume Poetry Prize. He too has a page on the Scottish Poetry Library website, where you can find more information, though only one link to a poem. An acclaimed author, bàrd and storyteller, Martin has been working across these genres for a number of years now. His early poetry was published in Let Me Dance With Your Shadow in 2006, and in 2007, at The Lochaber National Mòd, Martin was crowned ‘Bard’ by An Comunn Gàidhealach. In April 2014, he was a panellist in the Commonwealth Writers Conversation “The Untold Story: By Our Own Tongues” as part of the Aye Write festival. And yes, Martin also has a page on the Scottish Poetry Library website, including links to poems in both English and Gaelic. Our live musicians are Karen Dietz and Richard Klein. And who will be our wildcard poet? Maybe you! Just bring a poem you’d like to perform, put your name in the hat when you arrive at the door, and wait to see if your name is picked! Of course, you’ll have a chance to support Shore Poets and win the amazing lemon cake by participating in our raffle. It’s almost time for Shore Poets to take our annual summer holiday, and for all of you to dive into the delights of Edinburgh’s various amazing festivals. But before we go, we have a cracking June line-up for you. We hope you can join us on Sunday 29th June to warmly welcome these three great poets! Our headline poet is the inimitable Tom Leonard. To find out more about Leonard and his work, we suggest you read the rest of his page at the Scottish Poetry Library. Our new poet this month is Theresa Munoz. Theresa was born to Spanish-Filipino immigrants in Vancouver, BC and now lives in Edinburgh, Scotland. Her debut pamphlet Close chronicles her move from Canada to Scotland and was launched at StAnza 2012. Theresa’s poetry has appeared in journals across the Atlantic, including Poetry Review, Canadian Literature, New Writing Scotland, Stand, Under the Radar and many others. She was an Overseas Research Scholar in Scottish Literature at the University of Glasgow where she wrote the PhD dissertation on the work of none other than Tom Leonard. She has won a British Columbia Arts Council Award and has also been a prize winner in the McClellan Poetry Prize and the Troubadour International Poetry competitions. You can visit Theresa’s website here. This month’s Shore Poet is Nancy Somerville. Nancy was born in Glasgow and is now based in Edinburgh. Her work has been widely published in magazines and anthologies. She edited Goldfish Suppers, an illustrated poetry anthology for families with young children, with Stewart Conn in 2004. Her first collection, Waiting for Zebras, was published by Red Squirrel Press in 2008. You can read more about Nancy at the Scottish Book Trust website. YOU could read alongside these brilliant folk, in one of our TWO wildcard poet slots. Just bring a poem along, and put your name in the hat at the door! We’ll also have live music and our famous-for-a-reason lemon cake raffle! We very much hope you’ll join us! Happy May to you all of you poetry readers, writers and performers! Our headline poet is Jacob Polley. Jacob is originally from Carlisle, but now lives in St Andrews, where he lectures in creative writing at the University. 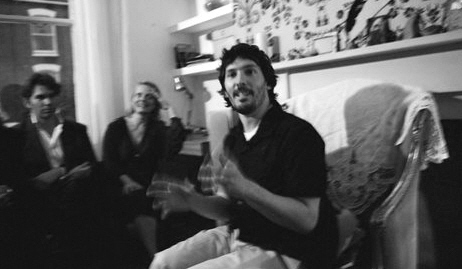 His three collections of poetry are The Brink (2003), Little Gods (2006) and The Havocs (2012), and in 2009 he also published a novel, The Talk of the Town – all published by Picador. Jacob’s poetry has been twice shortlisted for the TS Eliot Prize and the Forward Prize; it won an Eric Gregory Award in 2002 and the Geoffrey Faber Memorial Prize in 2012. All of his collections have been Poetry Book Society Recommendations. Our Shore Poet this months is Hamish Whyte. 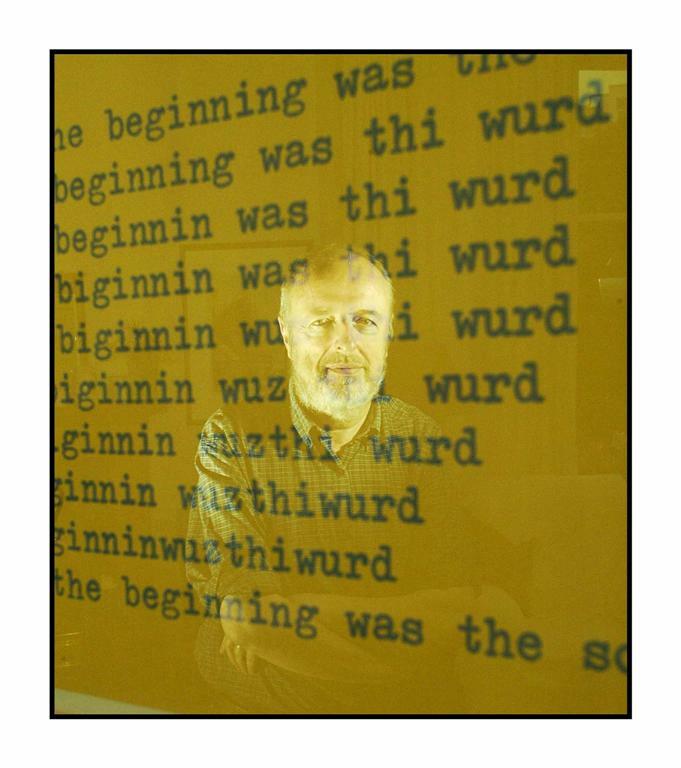 For the past thirty years Hamish has run Mariscat Press, and he has edited several anthologies, including Mungo’s Tongues: Glasgow Poems 1630-1990, An Arran Anthology, and Kin: Scottish Poems about Family. Hamish’s pamphlet Christmasses was published by Vennel Press in 1998. His long poem Window on the Garden was published as a book jointly by Essence Press and Botanics Press in 2006. Shoestring Press published A Bird in the Hand in 2008 and The Unswung Axe in 2012. And our new poet for May is Pippa Goldschmidt. Pippa is best known for her novel The Falling Sky, published by Freight Books in 2012 and shortlisted for the 2012 Dundee Book Prize. However, she also writes poetry and short fiction, and has won various accolades for her writing in all genres – including a Scottish Book Trust New Writers Award in 2011/12. We’ll also have live music from The Whole Shebang, and our famous-for-a-reason lemon cake raffle!